"The coolest vocal blend since the Everly Brothers." "The feel of their songs is unquestionably authentic and brimming with clear focus. 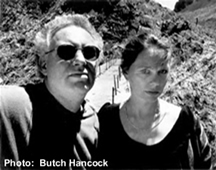 I find their exploration of the hard sides of love particularly brave and powerful and a nice complement to their songs that shimmer with gratitude and contentment." Whether they’re in a crowded room at SXSW in Austin or performing on the main stage at the KERRVILLE FOLK FESTIVAL or in the quiet of the BLUEBIRD CAFÉ in Nashville, award winning songwriters Joe&Tree deliver a show that is intense yet very human and accessible. Combining lissome harmonies, vividly-rendered and finely-honed material and first rate musicianship, Joe&Tree have crafted a sound that is both distinctively original and hauntingly evocative. 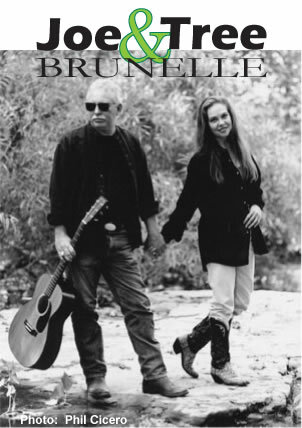 Veteran performers at house concerts, festivals, listening rooms and clubs this duo has thrilled audiences everywhere with their insightful songs and flawless vocals.